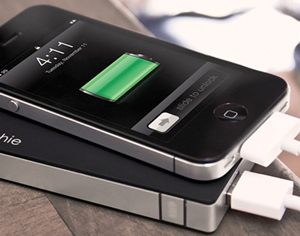 The Mophie Juice Pack Powerstation is a high-performance battery with a capacity of 4000mAh (at least 3 full charges for an iPhone 4S, or one complete charge for a first generation iPad). 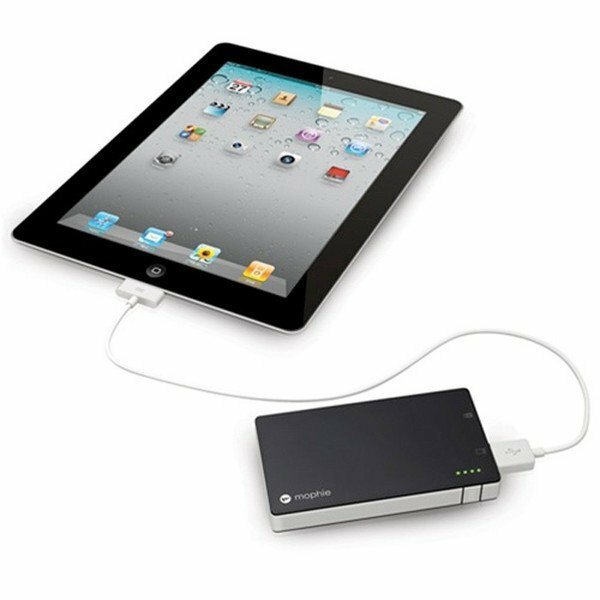 Capable of automatically switching from 500mAh (typical USB) to 1A and up to a charge, this is a no-brainer for charging iPhones, iPads, and other smartphones and tablets. Compatible with all iPhones and iPads. For other smartphone and tablet models, please see the updated compatibility chart. 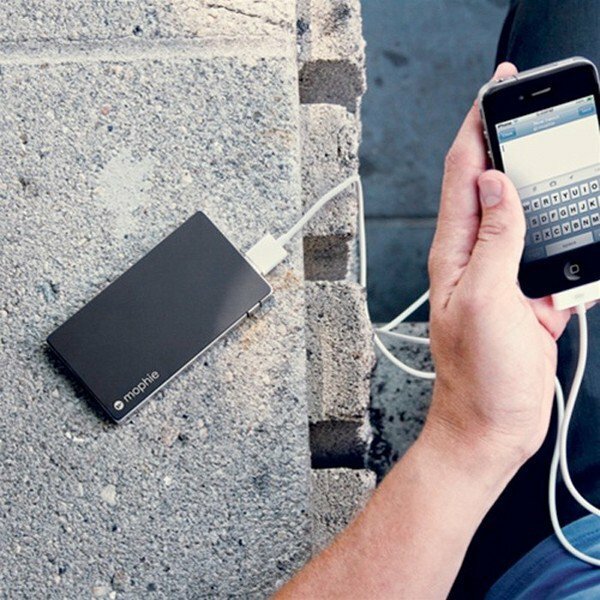 No transformer or power pack is necessary: the Juice Pack emergency battery charges on a powered-up USB port (all desktop computers, a plugged-in laptop, Refresh style charging station, or plugged-in USB hub). 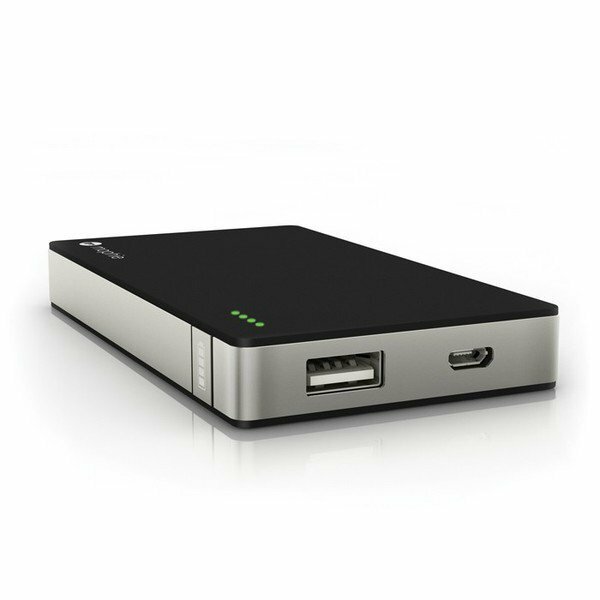 It comes with one cable with a standard male USB connector for connecting to a computer, and a micro-USB connector that plugs into the Juice Pack Powerstation. 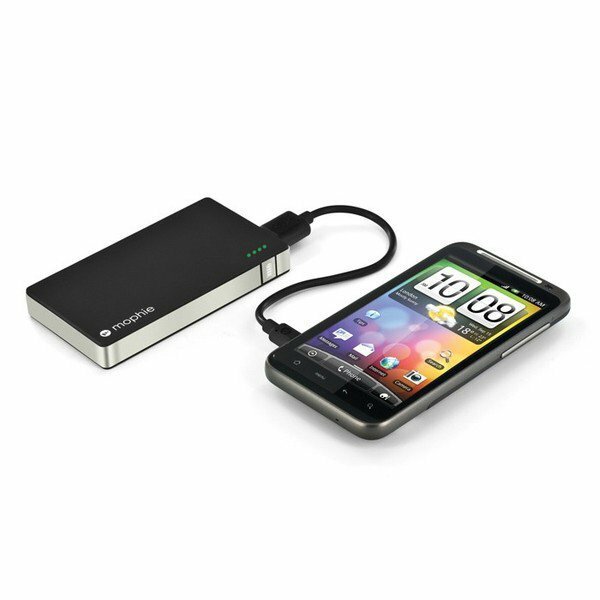 In order to avoid carrying around 24 unnecessary cables, just use the USB cable that comes with your smartphone or tablet, which you will simply plug into the (large) USB port on the Mophie Juice Pack. 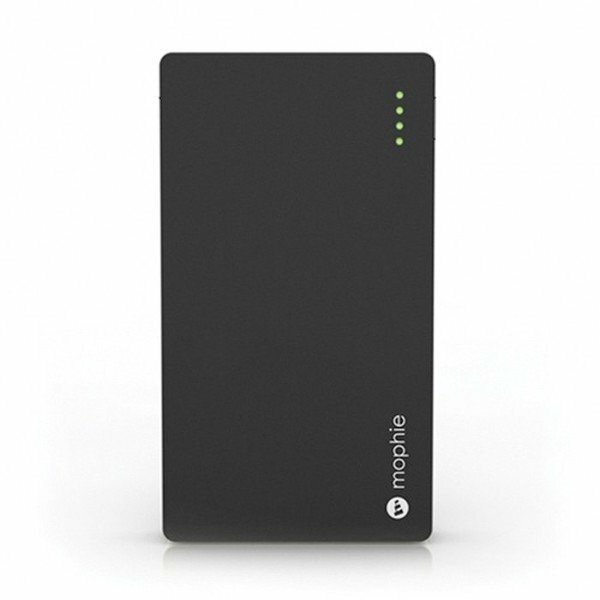 Then you simply press the status indicator button on the side of the Mophie Juice Pack: when the diodes are lit, the pack is charging. Just press the button on the side (the status indicator button): if the 4 LEDs are lit, that means that the battery is 100% charged, if 2 LEDs are lit, only 50%, etc. 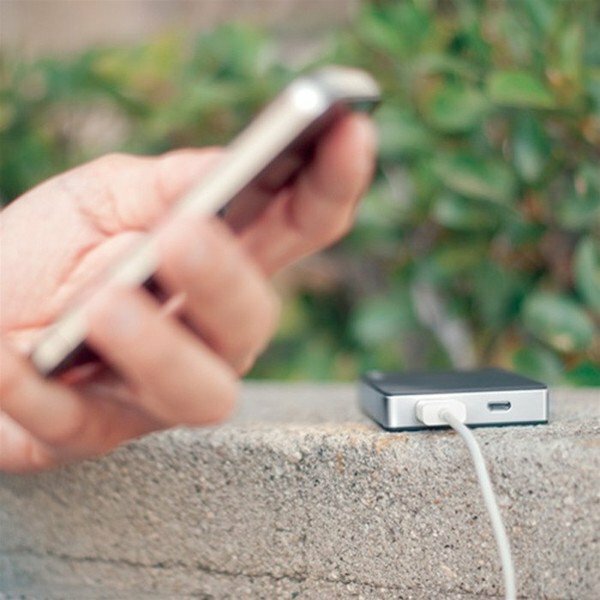 These devices are now part of daily life for urbanites and travelers, who are now discovering a new, and not particularly agreeable, sensation: being suddenly and brutally disconnected from the world just because their battery is dead. 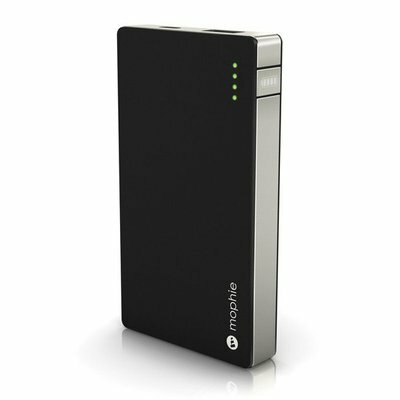 This dilemma, well-known to professionals who travel with their mobile office and often find themselves in a bind due to a lack of electricity, can be solved with the Mophie Juice Pack Powerstation.